Home BlogKnowledge Owlet Radiation – Should You Be Worried? When I first became a father, I wanted to look into all the latest gadgets and gizmos that would help keep my child safe. One of the products I came across was the Owlet Baby Monitor. An innovative product that helps you monitor your baby’s oxygen level and heart rate while they’re sleeping. This can give new parents an enormous amount of peace of mind. Especially since you can check these levels using a simple smartphone app at any time. The one thing I didn’t think about and wish I had, was the amount of EMF radiation I would expose my newborn too from a wearable baby monitor like the Owlet. I don’t want to write this post to scare new parents away from purchasing a wearable monitor like the Owlet because for some it might be the right choice. However, no one is talking about the potential long-term health effects from the EMF radiation an Owlet emits, especially considering the close proximity that the radiation occurs. In this article, I just want to talk a bit about what type of EMF radiation your Owlet emits so that you have a more thorough understanding of how the product works. Alright, first let’s just talk a little bit about the technologies in play here, to get a better understanding of how the system works, and how it emits EMF radiation. I think they are right on this point, however, the danger comes in transmitting this information from the smart sock to the base station, and ultimately to your phone. The Smart Sock utilizes Bluetooth (read my full article on the dangers of Bluetooth), a form of Radio Frequency waves transmitting on the 2.4Ghz frequency to transmit the data in real time to the base station. Since this transmission does not require a wireless network, the Owlet is still able to provide data and Alarm parents if readings fall into dangerous areas, a huge benefit of the technology. The base station itself is connected to your WiFi network (and to my knowledge can’t be connected via ethernet cable), which allows it to transmit data to your phone in real time, and give you up-to-date readings on your baby’s oxygen and heart rate levels. For the most part, this part of the connection should not be of much concern to your child, as the base station should be far enough away to not expose them to much radiation itself. However, if you do plan to get an Owlet system, I’d highly encourage you to look into a Low-EMF Router. 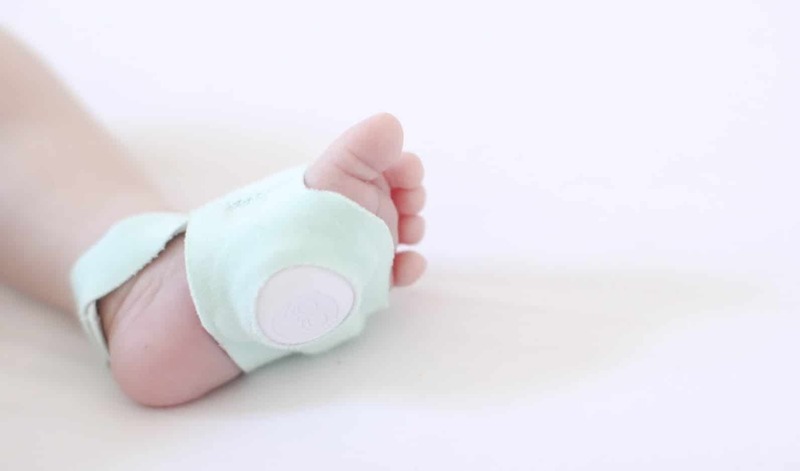 Alright, now that we’ve talked a little bit about how the system and technologies involved in the Owlet work, let’s back up to the part of the real concern, the radio frequency Bluetooth radiation from the pulse oximeter in the sock. First let me say, that this is not an enormous amount of EMF radiation we are dealing with here. The concern comes from the extremely close proximity (literally held in place against the skin) as well as the age of the child. 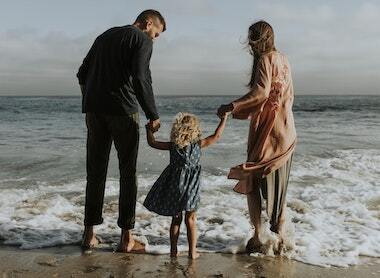 Research and studies have already shown us time and time again that children are much more vulnerable to EMF radiation than adults are, so exposure’s of any level should be closely considered. I find a few interesting things in this response. I think it is interesting that they immediately draw a comparison to the most dangerous culprit of EMF radiation for most people, our smartphones. The most interesting part of this response though is that she doesn’t talk about the dramatic differences at play. If you’ve read any of my articles on the dangers of EMF radiation from your cell phone (such as this one), then you know just how scary it can be. So if we go off of the Owlet employees description, that the Smart Sock generates 20 times less radiation than a cell phone in your pocket, we still have a really big problem. First of all, the Owlet, because it is updating both the base-station and your phone in real-time, is transmitting data constantly, emitting radiation via these radio wave transmissions at all times. 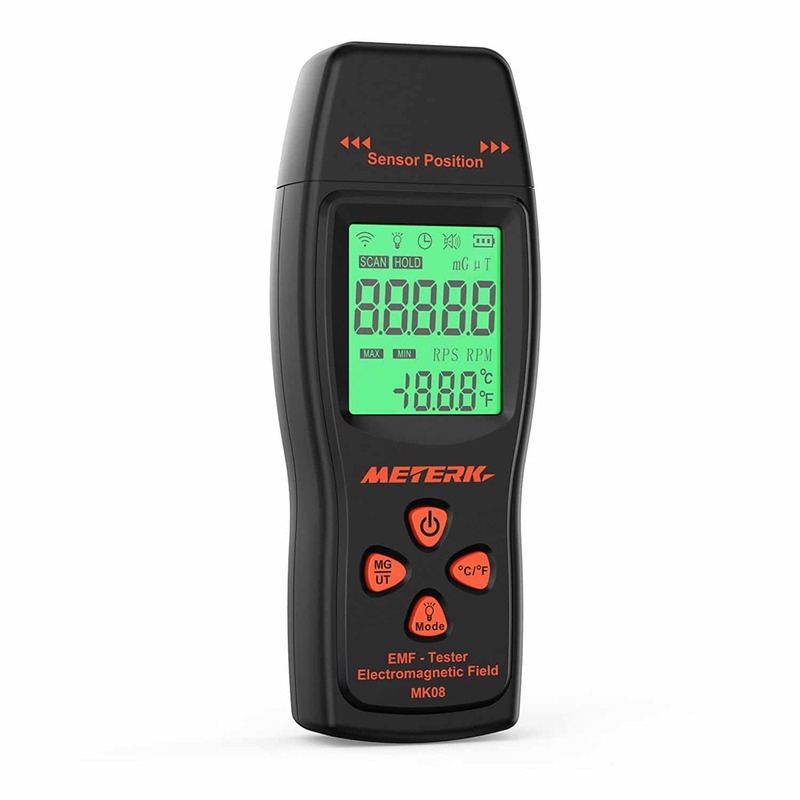 Next, remember from any of the other posts on EMF Academy that when it comes to EMF radiation, distance is our biggest ally. There is something called the Inverse Square Law of Physics, that essentially states that as we double our distance from a source of radiation, we quarter our exposure to it. However, if the source of radiation is directly against your body, there is no reduction in exposure. Finally, the Owlet employee is comparing an adult’s absorption of a cell phone in a pocket, to a newborn or infant’s exposure. So even if it is twenty times less, the actual exposure could be quite comparable when we factor in the age and vulnerability of the one wearing it. I’m certainly not the first person to chime in on the potential dangers of wearable monitors for babies such as the Owlet. I think it’s possible that this could be a slight exaggeration, as I can certainly think of some reasons you may want to use a device like this on a selective basis for certain children, especially at very young ages. However, it’s clear that she feels these devices are generally unsafe. The bottom line is that there is certainly a level of risk that should be considered when it comes to devices like these. As people are becoming more aware of the danger that EMF radiation exposure poses, they will hopefully start taking a closer look at how they choose the devices they use. I feel confident that over the next few years we’ll get more information and studies specifically on wearable devices like these for children, and through that will gain a more complete understanding of how worth it they are. Is There No Reason To Get A Wearable Baby Monitor Like An Owlet? I think there are certainly some reasons that could outweigh the radiation exposure risks. For example, brand new parents are likely to be quite worried about the safety of their child at night. Sudden Infant Death Syndrome (SIDS) is a real concern. For some parents, the concern over this certainly could outweigh the risk of radiation exposure. In fact, there are testimonies on the Owlet website of parent’s who were notified that their children were not breathing, and were able to save them because of it. Obviously, in a situation like that, the protection the Owlet provided was certainly worth it. I would just caution parents to consider stopping the use of the device as their children get older, and the risk of SIDS grows smaller. However, I am not a doctor, so please consult your own medical professional before making any decisions like this. This article serves only to provide some information on a topic that was lacking education. 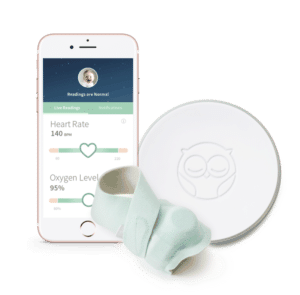 Obviously, if your child has any medical conditions with which continual monitoring would be an important part of caring for them, I think the Owlet is probably a great choice. Ultimately, check with your child’s doctor and consult with them when making these decisions. The bottom line is, any wearable baby monitor, including the owlet, will emit radio frequency EMF radiation. This should be of some concern to any parent, as the risk of EMF radiation exposure is well known. However, there are certainly reasons that purchasing an Owlet would be worth the radiation exposure risk.